How many books can I borrow with my library card? 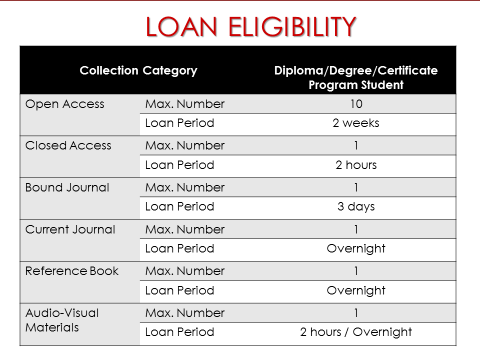 Your loan privileges or quota will vary according to your membership type. I am a UTM Alumni. 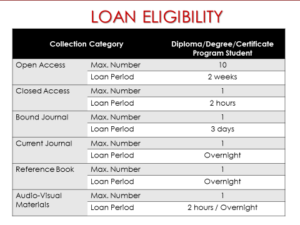 Is it possible for me to use the library? Alumni are welcome to browse and consult the library collection. However, access to electronic resources can only be done within the Library premises. 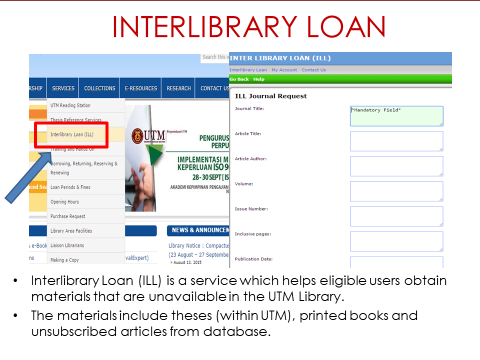 How to apply for Inter Library Loan?